Honda Cars Philippines, Inc. (HCPI), Honda’s automobile business unit, introduces new upgrades for the 2017 All-New Civic RS Turbo with the integration of features that provide utmost convenience for Honda’s highly praised compact sedan. 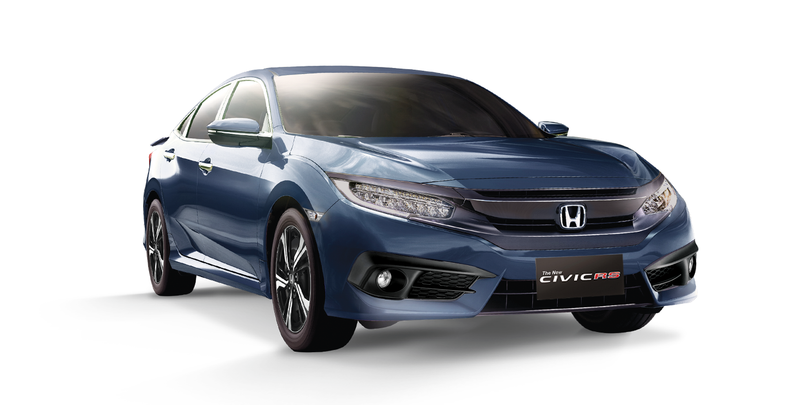 With the positive acceptance of the tenth generation All-New Civic in the market, HCPI strives to continuously innovate to further improve and cater to the demands of the customers. The 2017 All-New Civic RS Turbo is now equipped with Power Folding Side Mirrors that gives the driver the ability to control and fold the side mirrors in different driving situations and road conditions. It also now comes with a Speed Sensing Auto Door Lock that conveniently locks all doors when the driving speed reaches 15 kph. These features not only provide convenience to the customers but also improve their ownership experience through added safety. On the outside, the All-New Civic RS Turbo boasts an aggressive style with its low and wide stance, sleek and swept-back body lines, and sharply defined character lines. This unique sportiness is further reinforced by the All-New Civic RS Turbo’s DOHC VTEC Turbo Engine that delivers a maximum torque of 2.0 kg-m at 1,700--5,500 rpm, and a maximum power output of 173 PS at 5,500 rpm. This engine yields a powerful driving performance with uncompromised fuel efficiency, with its Continuously Variable Transmission (CVT) developed under Earth Dreams Technology. This variant is also exclusively integrated with paddle shifters for a sportier driving performance. With the remarkable performance and overall combination of the All-New Civic RS Turbo’s exceptional features, it has garnered several media accolades, including the 2016 Car of the Year—Philippines award.